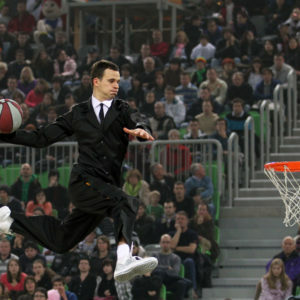 If there was EVER a sports show that grabs people’s attention this Basketball Dunk SPECTACULAR is it!!!!! 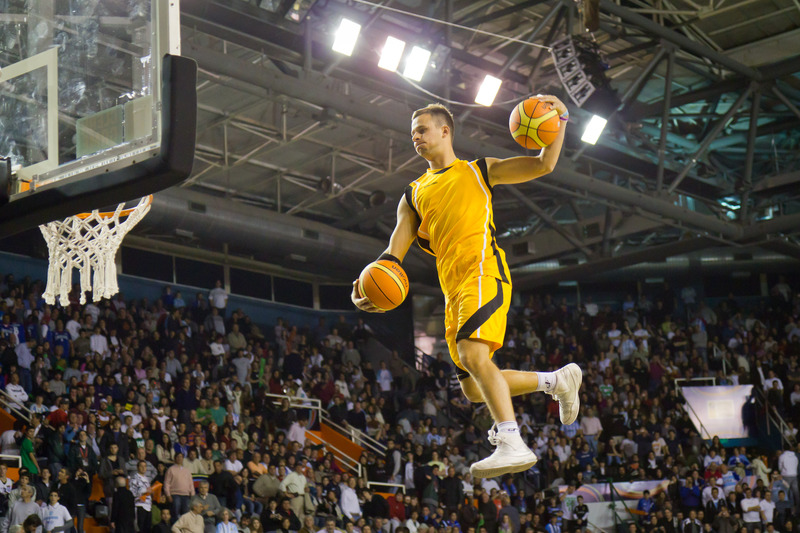 This basketball dunk show has entertained audiences of THOUSANDS both at live events and through videos and social media channels. Costs for this Basketball Dunk SPECTACULAR start from GBP £300 per person depending on how large a group is required and how long they are required to perform for. 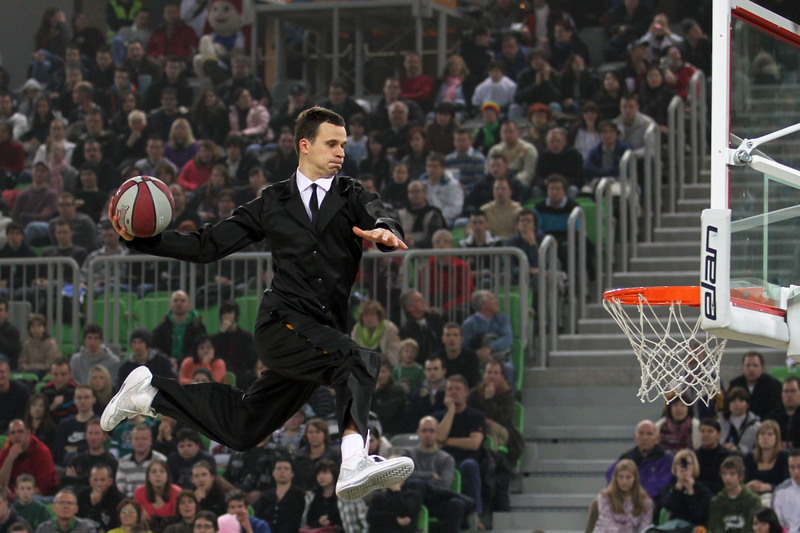 Ranked as one of Europe’s top basketball dunking entertainment shows. 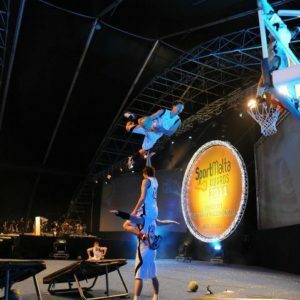 This acrobatic slam dunking show has performed all around the world and is setting the pace in the basketball acrobatic dunking show world with their choreographed basketball dunking shows. 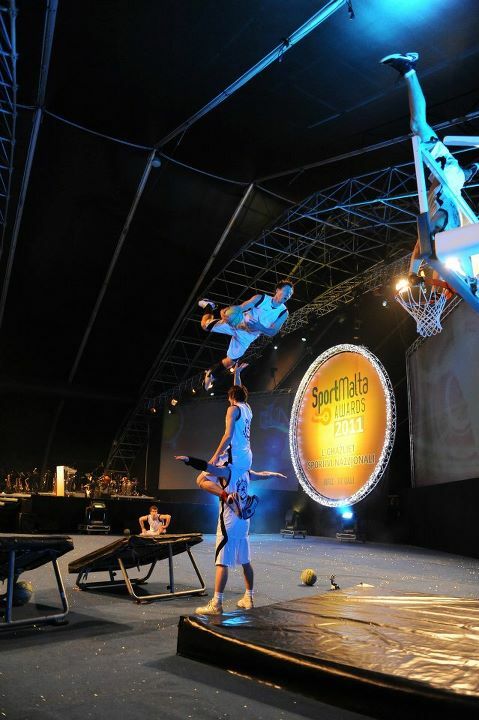 This acrobatic basketball dunk team have performed at a variety of events including sports events, sportsawards, gala dinner shows, product launches, branded events corporate events and school festivals.